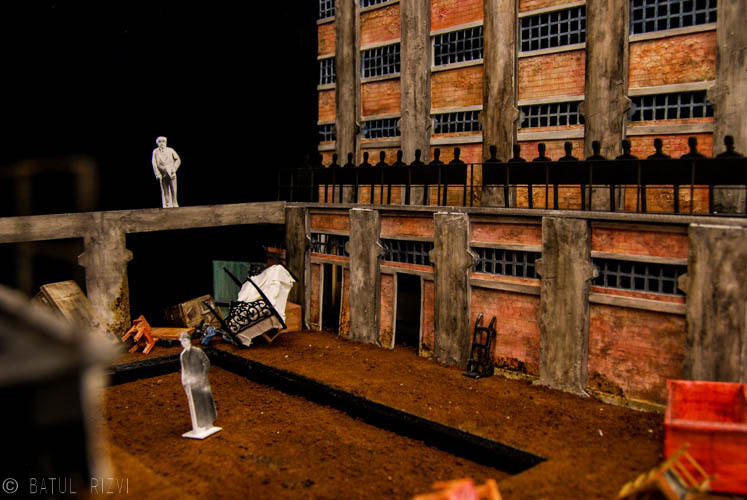 This “found space” theatrical vision is set in an abandoned warehouse during the monopoly era of America. 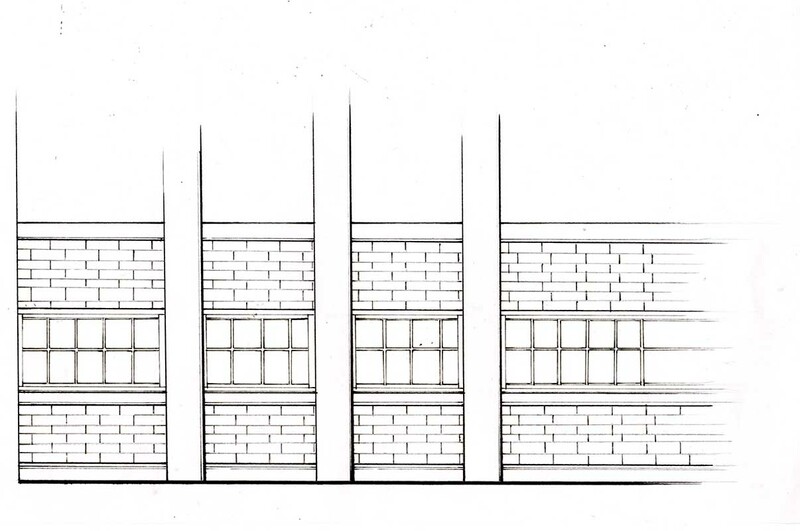 The lead visionaries including John D. Rockefeller, Andrew Carnegie, JP Morgan, and many more, claimed their environments and ran their businesses accordingly. 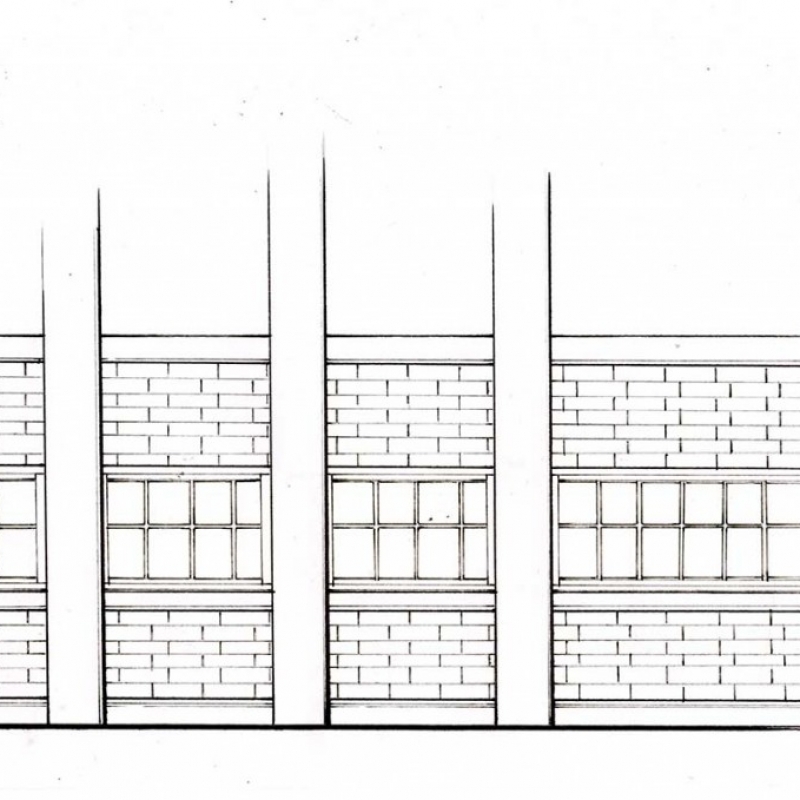 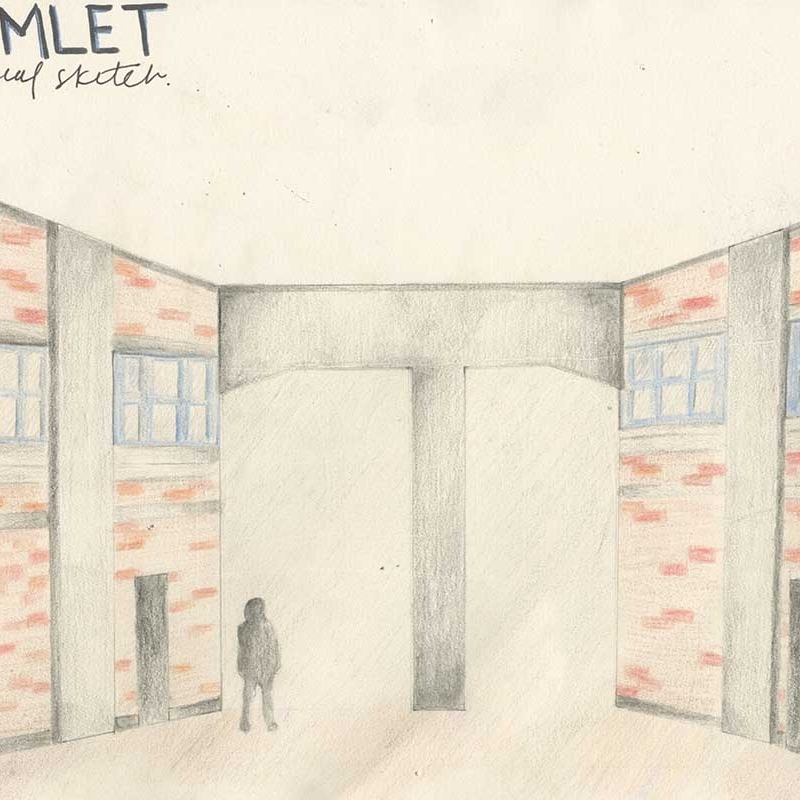 Hamlet’s family is part of this revolution, as this warehouse is a ground to run the family business. 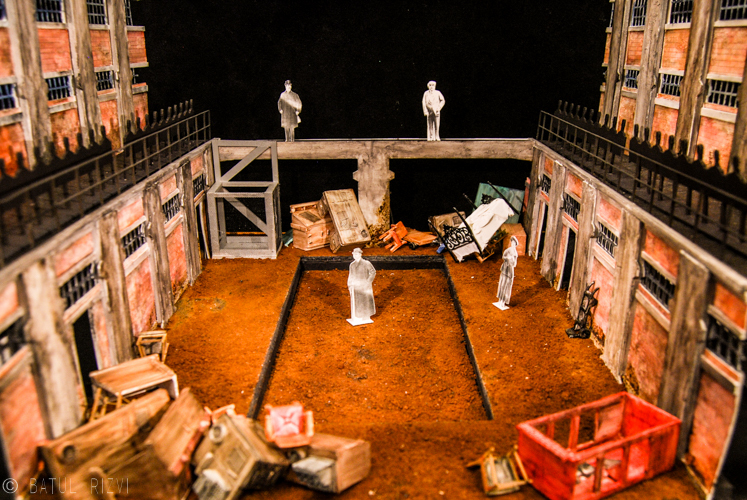 The dirt deck is dug by the gravediggers in the penultimate scene, followed by Fortinbras entering into a pit of dead bodies. 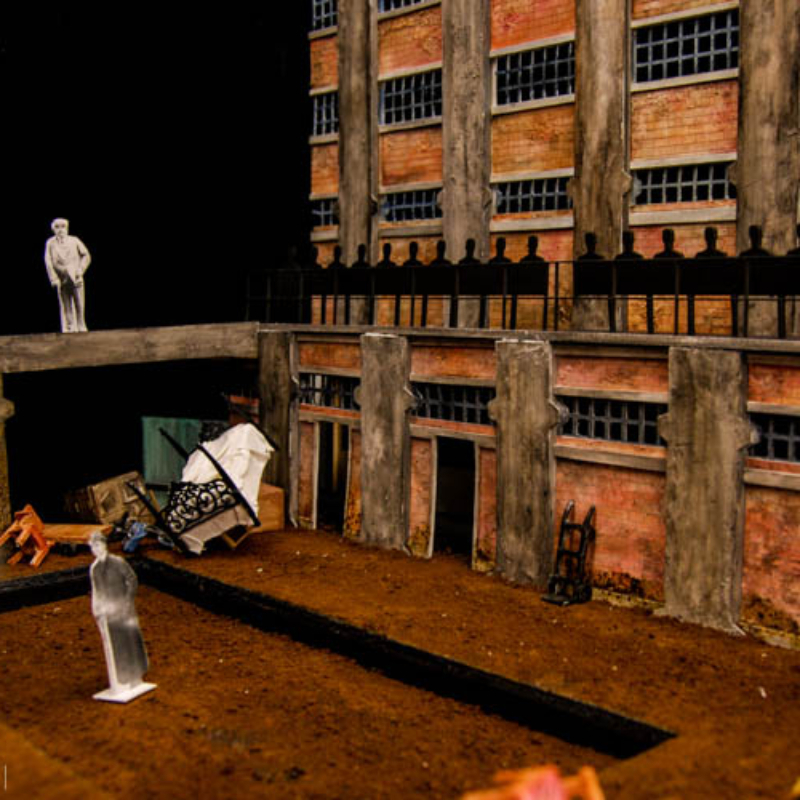 The junkyard props on either side are full of set dressing and practical furniture and props used in the scenes accordingly. 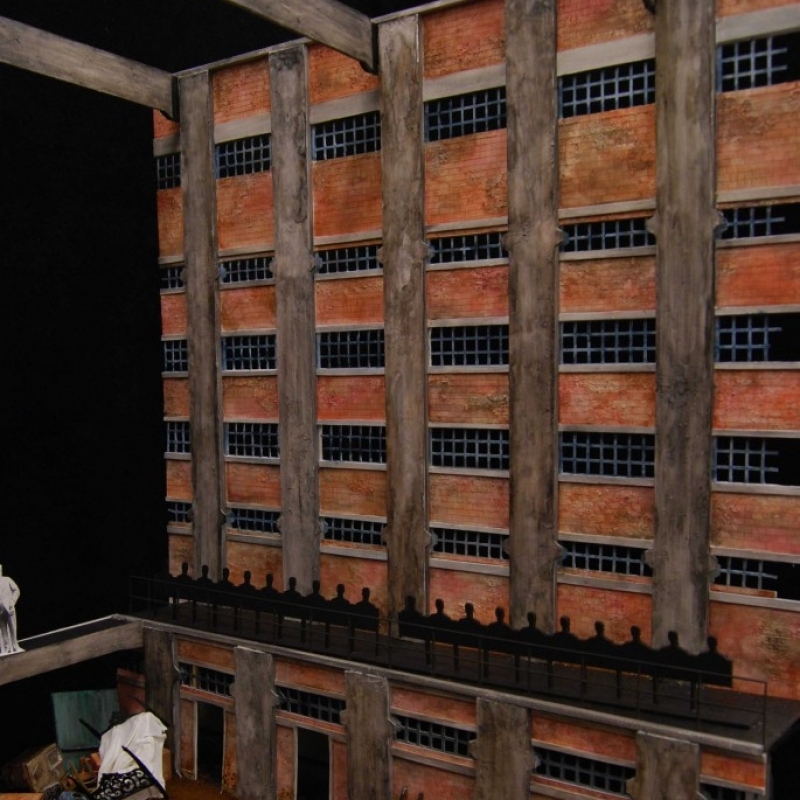 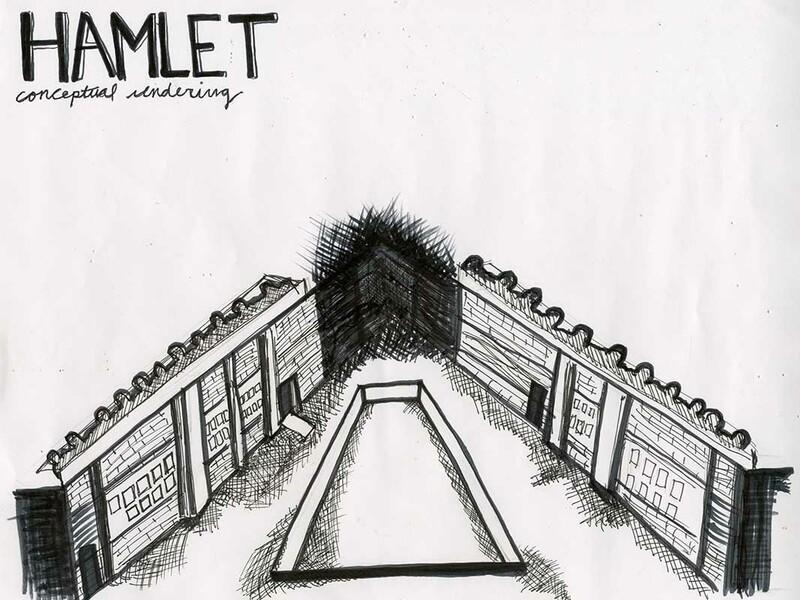 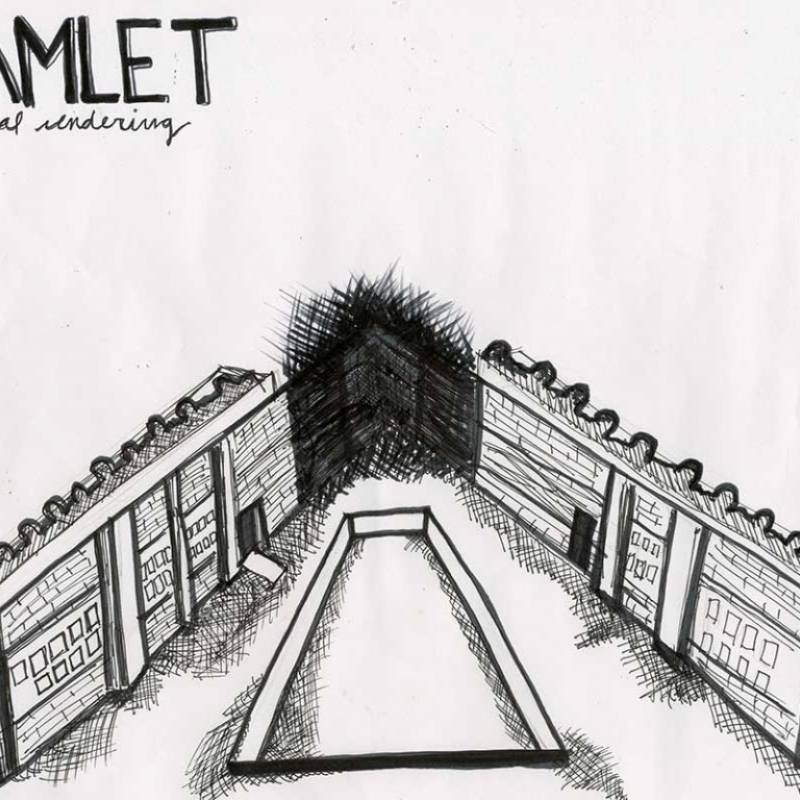 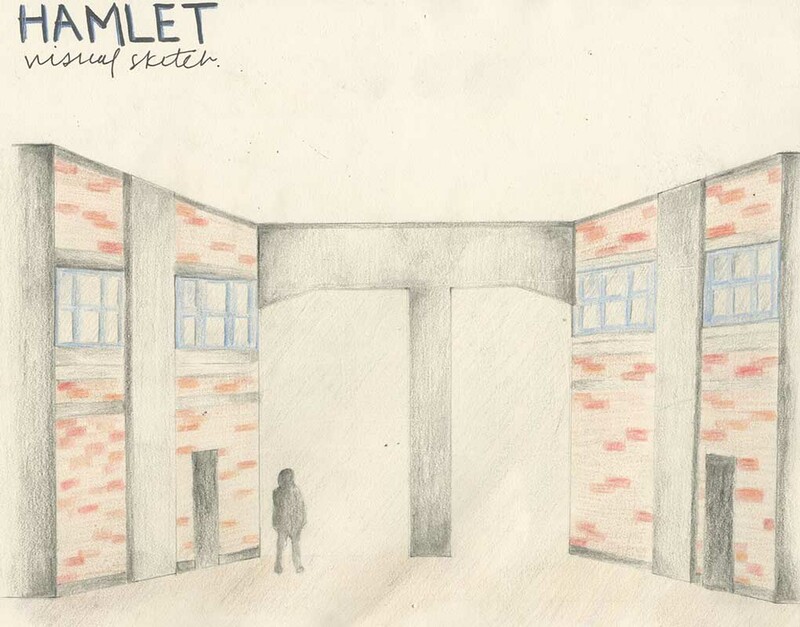 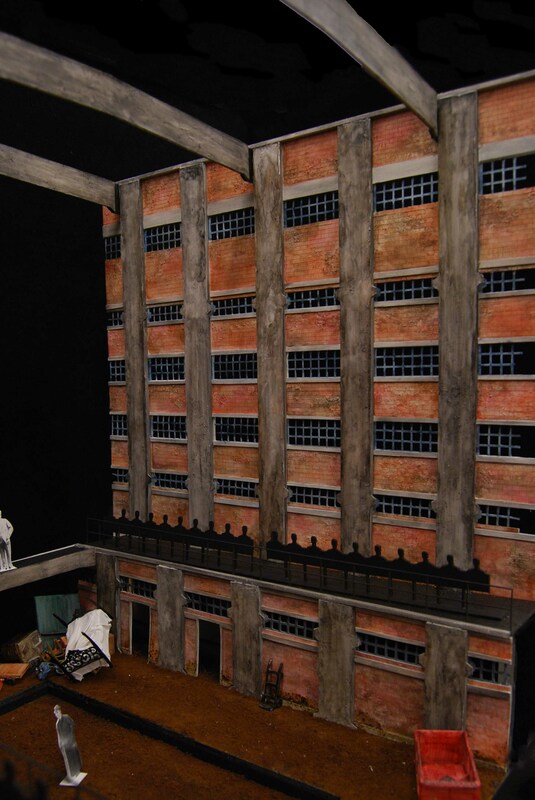 The audience is seated alleyway style and stadium style, as they are overlooking the story of Hamlet. 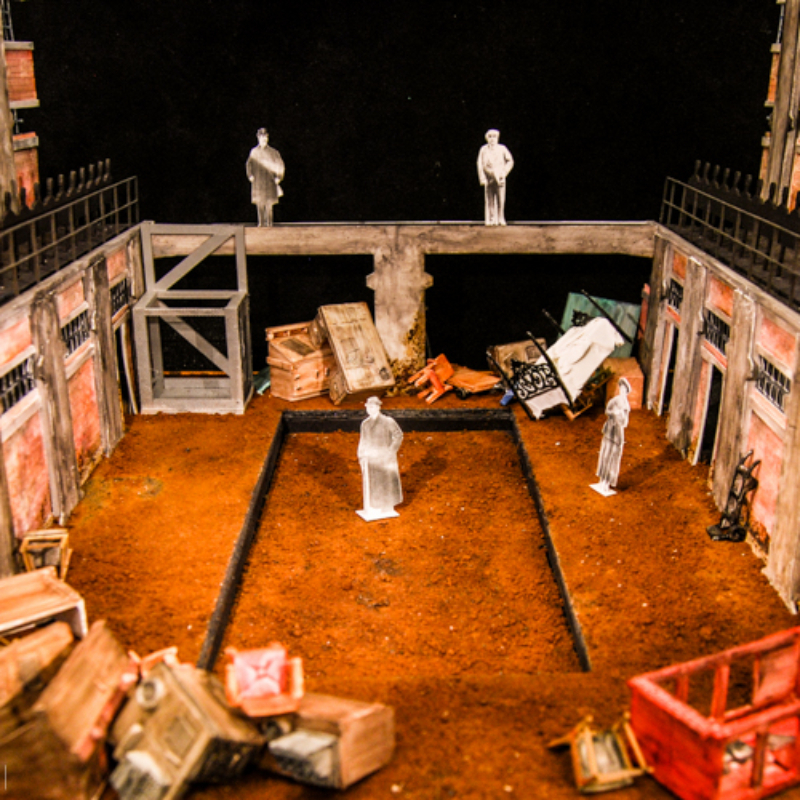 This layered performance style is echoed in the types of layering in the performance, such as the play within a play or the multiple monologues and soliloquies spoken to the audience.